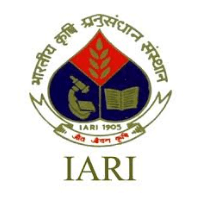 IARI Recruitment 2019 – ICAR – Indian Agricultural Research Institute (IARI) scheduled walk-in-interview for Junior Research Fellow, Senior Research Fellow, Project Assistant, Young Professional-II, Technical Assistant & Semi-skilled worker and helper. The detailed eligibility and venue details are given below. Young Professional-II: Masters Degree in Extension/ Education/ Agronomy/ Vegetable Science/ Food Science Nutrition/ Horticulture/ Agricultural Engineering. Technical Assistant: 12th Passed having working knowledge in agriculture. The selection process of all posts will be based on Interview. How to apply IARI Recruitment 2019? All interested and eligible candidates can attend walk-in-interview along with required documents at the following venue on 3 May 2019. Documents Required: Eligible candidates must bring a copy of bio-data giving full particulars along with all original certificates, attested photocopies of all required certificate from matriculation onward and copy of recent passport size photographs and experience certificate in original (if any), NOC (if employee) with them, which can be submitted at the time of interview. Master’s degree in Botany/Zoology/ Biotechnology/ Life Science/Nematology with 4 or 5 years Bachelor’s degree with 1st Division or 60% marks or equivalent overall grade point average in Bachelors and Masters degrees. Project Assistant (Cat-1): Bachelors Degree in Molecular biology, Life Sciences, or B.Sc. (Agri). Post Graduate Degree (M.Sc. / M.Tech.) in Remote Sensing & GIS / Geomatics / Geoinformatics/ Natural Resources Management/ Environment Science / Geophysics / Atmospheric Sciences/Agricultural Engineering / Civil Engineering from a recognized university/ institution with 4/5 years of Bachelor’s degree. All interested and eligible candidates can attend walk-in-interview along with required documents at the following venue on 15, 18, 20 & 22 April 2019. Documents Required: Eligible candidates may come for the walk-in-interview with two copies of their bio-data, two passport size photographs and one set of attested copies of their certificates/ mark sheets/experience proof. Please bring original certificates for verification at the time of interview.